For a limited time - get a FREE ROKU EXPRESS when you pre-pay 2 months of Sling TV. 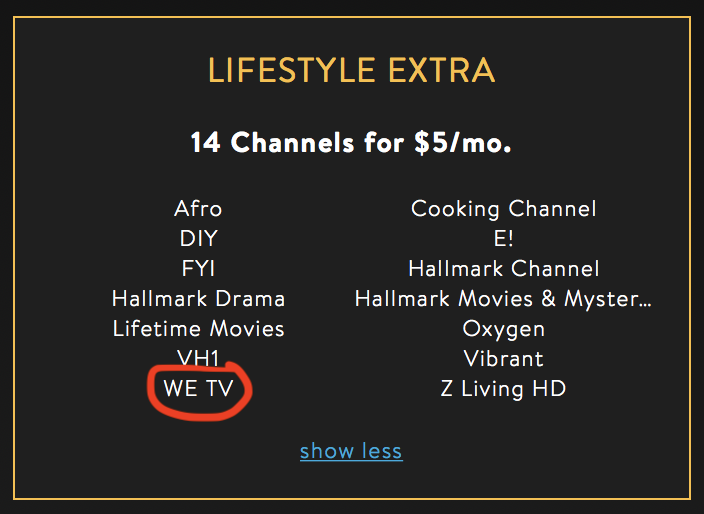 Choose the Lifestyle Extra to get WE TV for $5/month. Add on Cloud DVR for $5 a month. Don’t miss an episode of Love After Lockup, 90 Day, or MAFS while you’re traveling during the holidays! Just want to try it out? Get 7 days free!